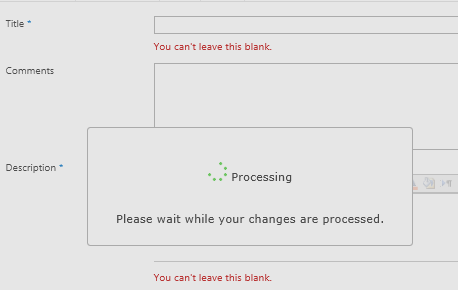 When missed the mandatory field, it's not allowing the user to enter the value in the field, showing the same message processing please wait while your changes are processed. Could any one please help on this issue how to resolve this? Did the issue occur in all lists? Check if the search service can work in your SharePoint farm.